Kids are one group of people full of hope. They haven’t be trained and shaped into what society want them to be. 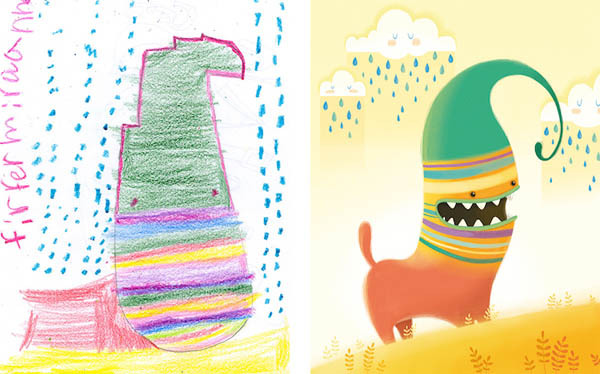 They are full of creativity and imagination. 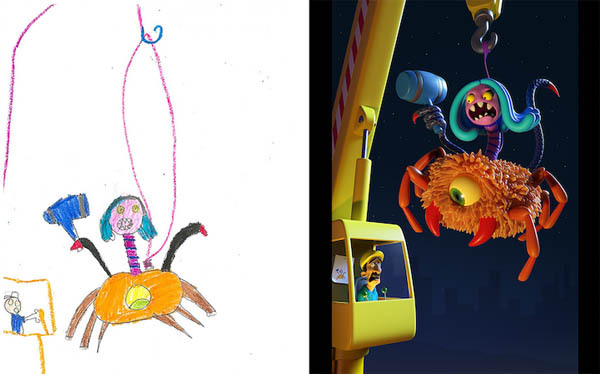 Many people are devoted to help young kids realize the power of imagination and to encourage them to pursue their creative potential, artists from “The Monster Project” are among them. 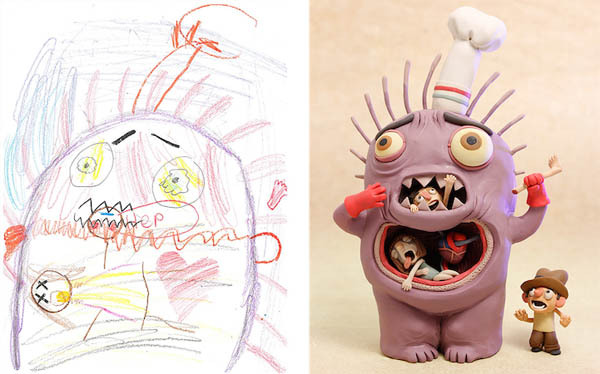 In the project, elementary school students are asked to draw a monster, without rules or restrictions. 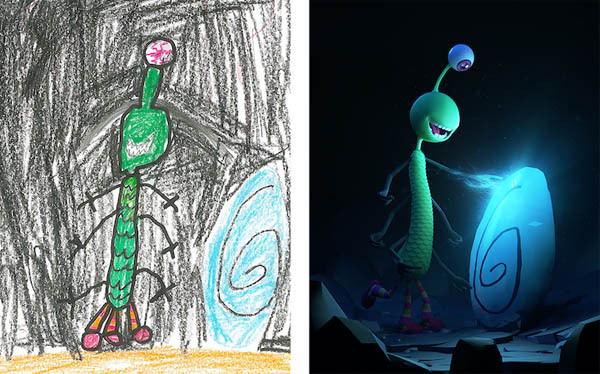 Then the finished drawings are sent to artists all across the globe so they can recreate them as 3D illustrations, animations, and paintings. 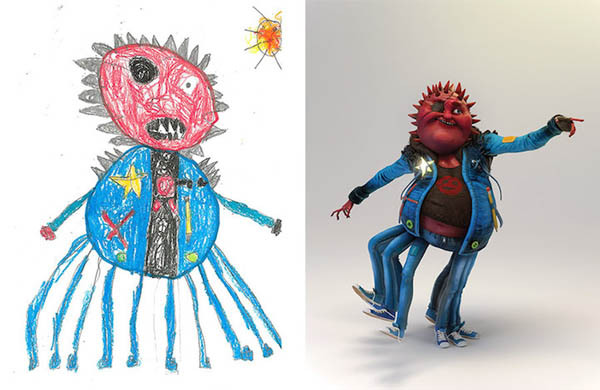 After the transformation, the monsters are returned to the kids so they can see their creativity brought to life without worrying about grades or judgements. Find more about this project on its website or their Behance page.